Be Bold! Go Scared with Style. Trying to blend in with Noonday’s Fall 2018 Collection? 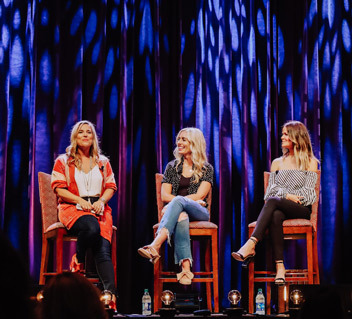 Every season when Noonday Collection launches its newest line, I’m giddy to see the new designs, color schemes, and trends. But every year there are a few pieces that—if I’m honest—scare me, because I think there’s no way I can pull them off. 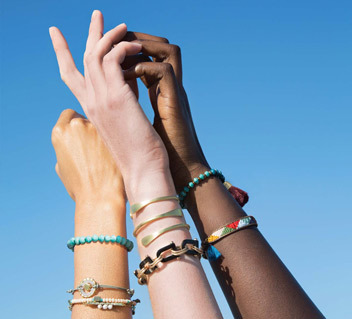 Now, I’m a Noonday Collection Ambassador who styles women as part of my job, so new pieces shouldn’t scare me, right? Wrong. While I’ve been known to be bold with my style choices, confidence can still be pretty challenging for me. Frankly, I sometimes feel like an imposter. I have always admired women who could pull off the latest trends, and I always wanted to be like them. But I just…get scared. I’d figure out reasons for why they could pull it off and I couldn’t. My neck is too short. My earlobes are too big. I have a big forehead. My face is too round… And once the ideas were in my head, they felt pretty true. 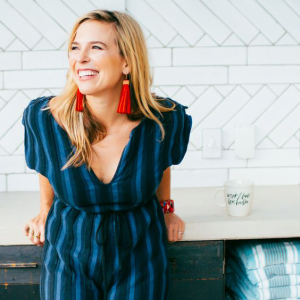 I’m going to go ahead and assume that (on some level) you can relate to this, because I’ve heard plenty of women express similar insecurities while trying on Noonday at Trunk Shows. Crazy, right? Why do we do this to ourselves? These are false narratives. When I was eleven years old, a cute boy at school made fun of my pink overalls (which I adored!) by calling me “Snow Pants.” I had thought my taste was very fashion-forward…but it was the ’90s. I was mortified. I can look back these days and laugh, but in middle school? That was tough, y’all. And it really struck a cord for me. Something I loved (so much!) was being mocked. I started questioning my fashion choices and worried what other people thought of them. Rather than stand out, I wanted to blend in. It felt safer. For me, that’s when my IBBC took up residency in my brain. 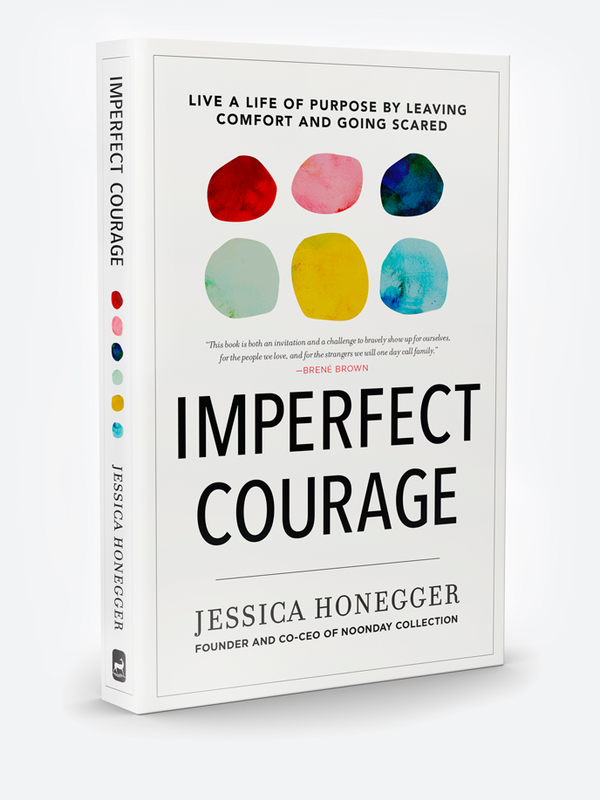 In her new book, Imperfect Courage, Noonday founder and Co-CEO Jessica Honegger calls the voices that tell us false narratives our IBBC: Itty Bitty Baloney-Sauce Committee. Somewhere along the way, we were told something, we saw something, or we thought something about ourselves. And, for whatever reason, we started believing it was true. We accepted a false narrative and let it become our story. And even though it wasn’t true, we let it become our truth. Thus is the IBBC established for many of us. Now, as I mentioned earlier, there are always a few pieces from every collection that intimidate me. For Fall 2018, those pieces were our Elysian Ear Climbers from Peru and the red Pirouette Earrings from Haiti. 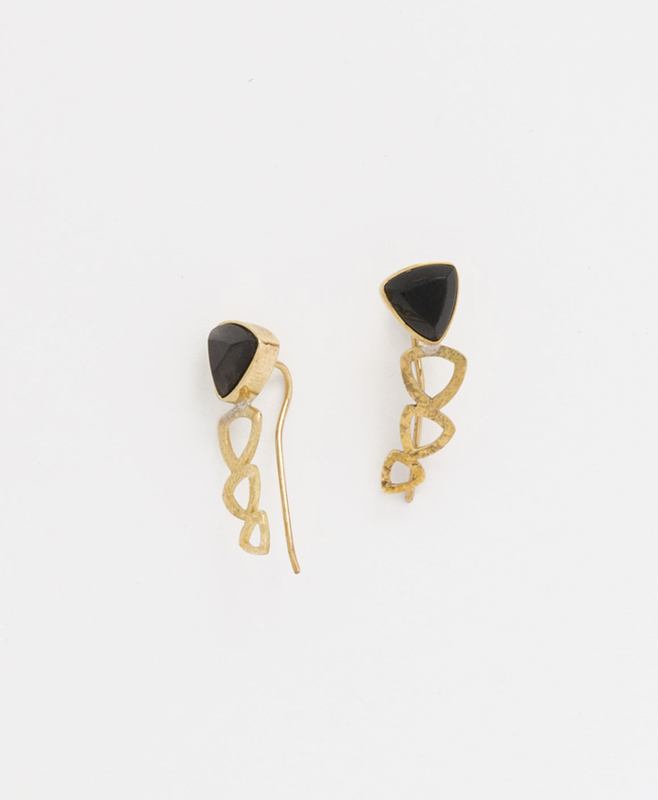 Elysian Ear Climbers — Obsidian and textured brass pair up in these chic ear climbers with a beautifully tapered shape that accents the ear. 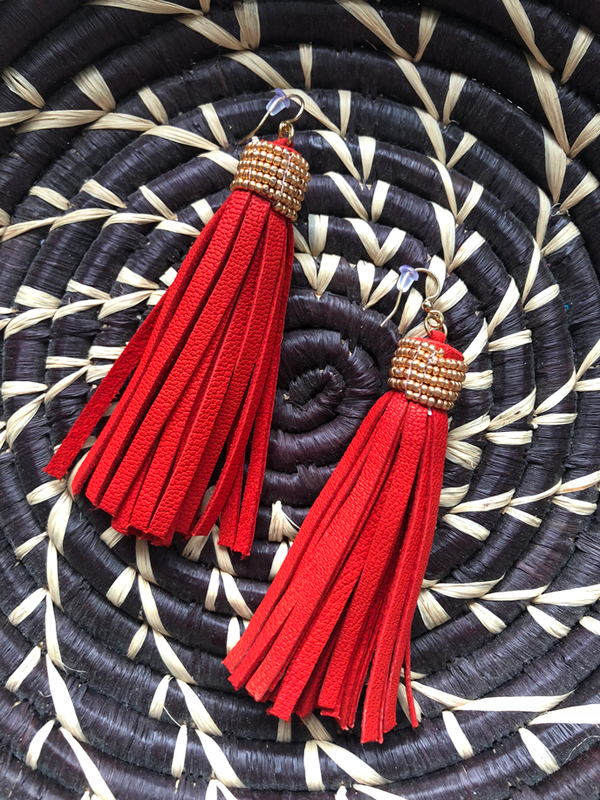 Pirouette Earrings in Red — Don’t be shy! These red leather tassels frame the face beautifully and will not go unnoticed. 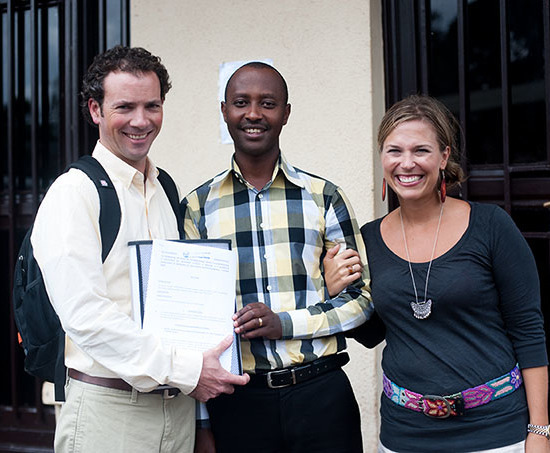 Thankfully, being a Noonday Ambassador has helped grow my confidence. I work alongside some pretty stylish and brave women, who encourage me to be me. We share their struggles and their triumphs. We are bold in fashion and beyond. 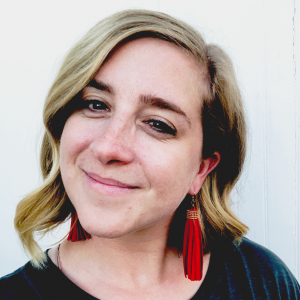 And our fearless leader Jessica is one of those women who consistently demonstrates what it looks like to “go scared.” I admire Jessica not only for her confidence, but also for her vulnerability and honesty in this community. In Imperfect Courage, she reminded me to be gracious with myself and to speak kindness over myself. I can replace hurtful thoughts with self-compassion and self-love. By sharing her experiences, she has allowed her journey to impact mine. What I needed to do was punch my [IBBC] in the gut. What I did was give them credibility. I read that line and circled the sucker, because I realized instantly how I’d given my IBBC credibility for far too long in a capacity it never should have had. Jessica’s book has helped me to reframe my thinking. Wishing I looked like someone else, or that I could pull something off like so-and-so isn’t a helpful or healthy mindset. Chapter four, “Own Your Worth,” is probably the chapter I underlined the most for those very reasons. 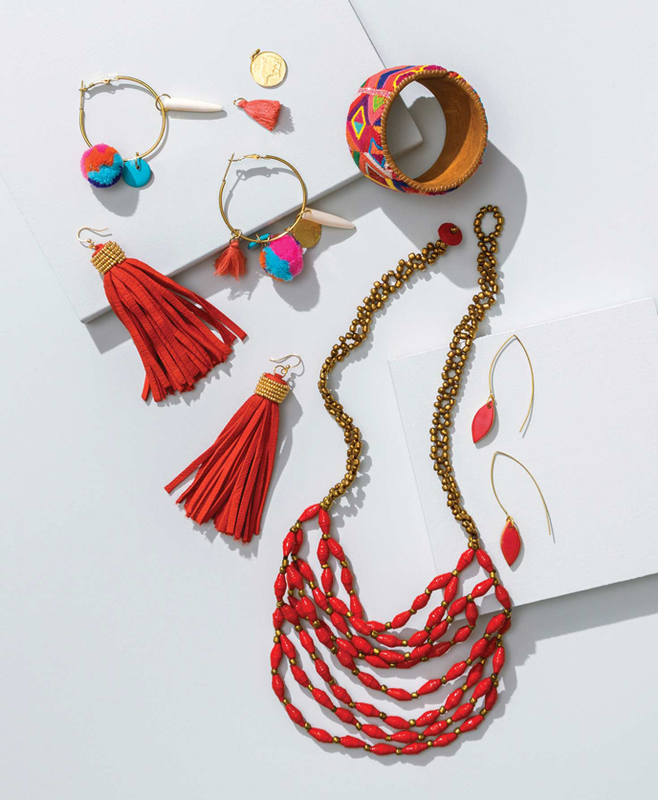 When we widen our definition of beauty to include ‘imperfect by design,’ and we embrace diversity instead of sameness, we deepen our understanding of beauty and worth…At Noonday, while we have fun with statement earrings, color stories, and trend spotting, we celebrate that a woman’s worth is defined by exactly none of it. Fashion is fun, it’s a celebration, and it’s a point of connection. It can be a place to celebrate beauty of the imperfect variety. But when a woman’s face lights up at a trunk show as she slips on those earrings, it isn’t the adornment that makes her beautiful; simply put, it is her. 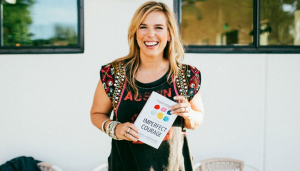 Being a Noonday Collection Ambassador and being led by Jessica Honegger has been an impactful part of owning my worth. I continue to work on not letting others define me, and on not letting my IBBC stop me from wearing the beautiful things I love. Lauren lives with her husband, Jordan in the Grandville, Michigan where they recently purchased a home and are fixing it up. She is addicted to committed to coffee, loves macaroons, a good book, flea markets, decorating her home, driving her Jeep (Rosie) and spending time with friends. She especially loves her work with college students and helping empower the next generation of world changers! 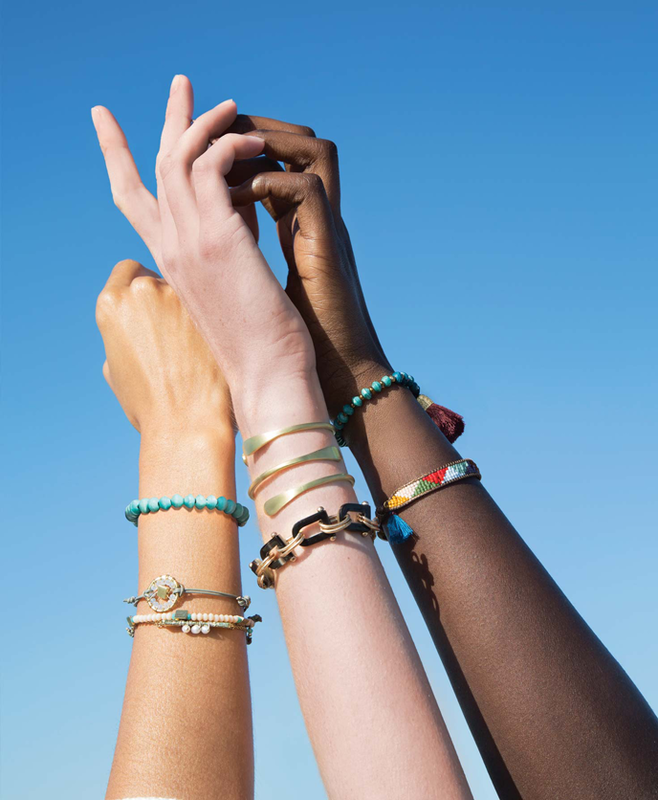 GIVEAWAY: Win $200 in Gift Cards From Noonday + Our Fave Female Owned Brands!